Magic is formed in the heart - specifically, in a fifth chamber tucked between the left ventricle and aorta. Like blood, it cannot form outside of a living body, and so the existence of magic loose in the world, raw and unshaped, is an absolute impossibility. And so, when magic is discovered, raw and unshaped, loose in the forests of Turunda and tearing the land to shreds, the Order of Mages is accused of sabotage during an already tumultuous time. With the Order under close scrutiny and wars raging all around them, only Rathen Koraaz, a banished warmage and deceased by all official records, has the time and the expertise to handle it before the world collapses beneath itself. With the help of a renowned historian and an inquisitor of the Hall of the White Hammer, they set out on a search for answers and solutions, until desperation leads them to chase the legends of an extinct people and the original users of magic. Harbouring secrets of faith, magic and vengeance, the group flee harpy attacks in the wilds, riots in the cities, and the eternal hunt of imperial assassins. But is there any truth to the legend? And, if not, how far will their world crumble before they can find an alternative? You can read Kindle books without a Kindle device using Amazon's free Kindle app. It can be downloaded onto smart phones, tablets, laptops, Mac and PCs, and is supported by android, apple, google play and windows. Download it for free straight from Amazon right here. The download is small, quick, and safe as it comes directly from Amazon, not a third party. 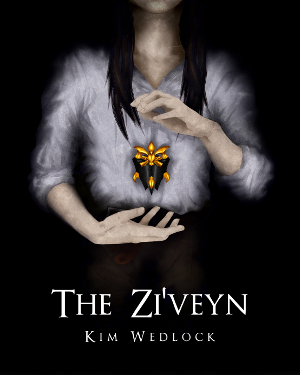 For Inktober 2018, I used The Zi'veyn for drawing prompts.